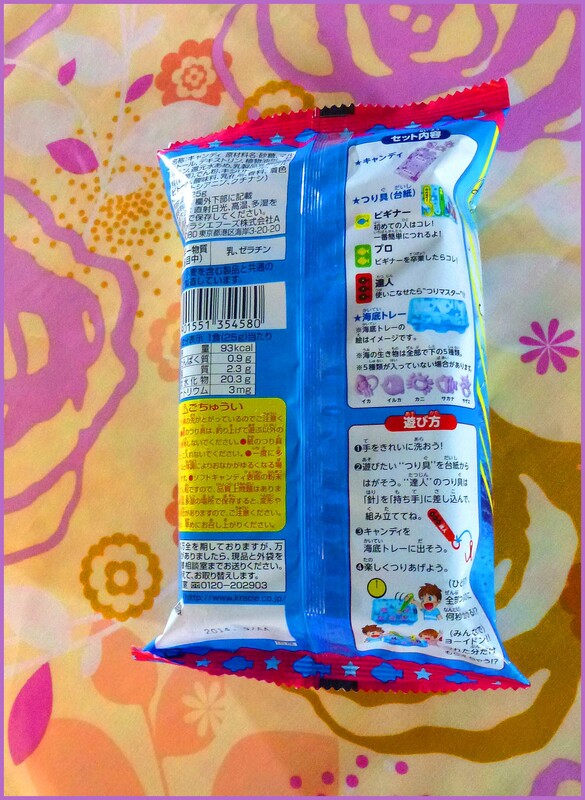 We have another Japanese candy review! 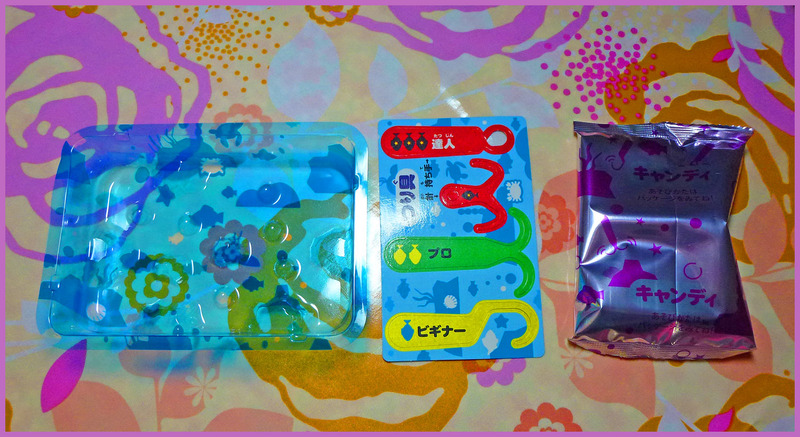 This is another crazy candy kit from Kracie, which is the maker of Popin’ Cookin’! 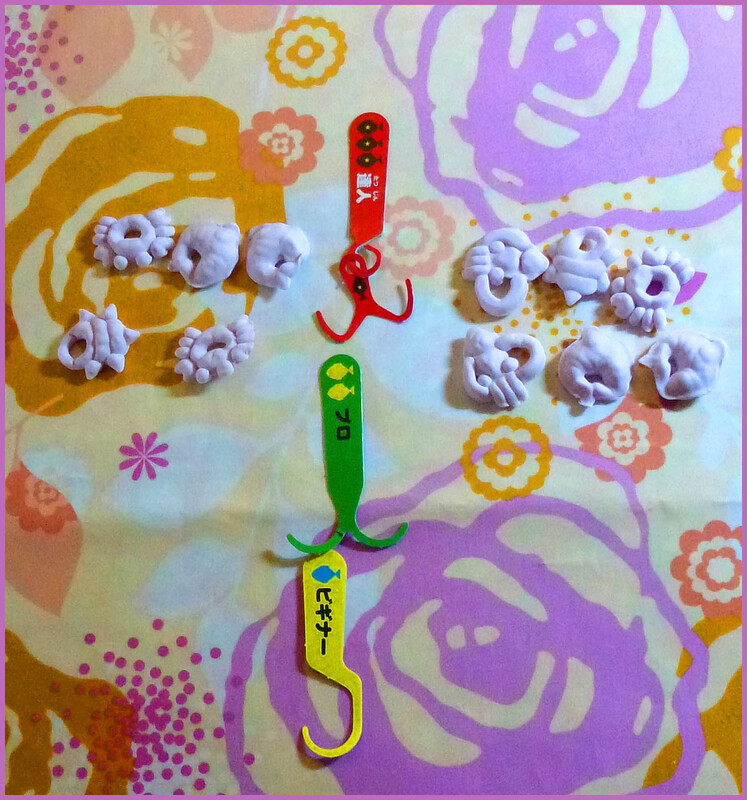 The Japanese name of this fishing candy set is Asobo Sakana Tsuri. Below, you can see the contents of the package. Unlike other Kracie kits, this doesn’t involve actually making the candy. The candy is pre-made and comes in the purple package. What makes this kit unique is that it is a fun game that you can play with other people! The first step to play this game is to put the candy pieces in the clear blue “kiddy pool” above. You then pop out the colorful paper board hooks, which you then use to “fish” for your candy. 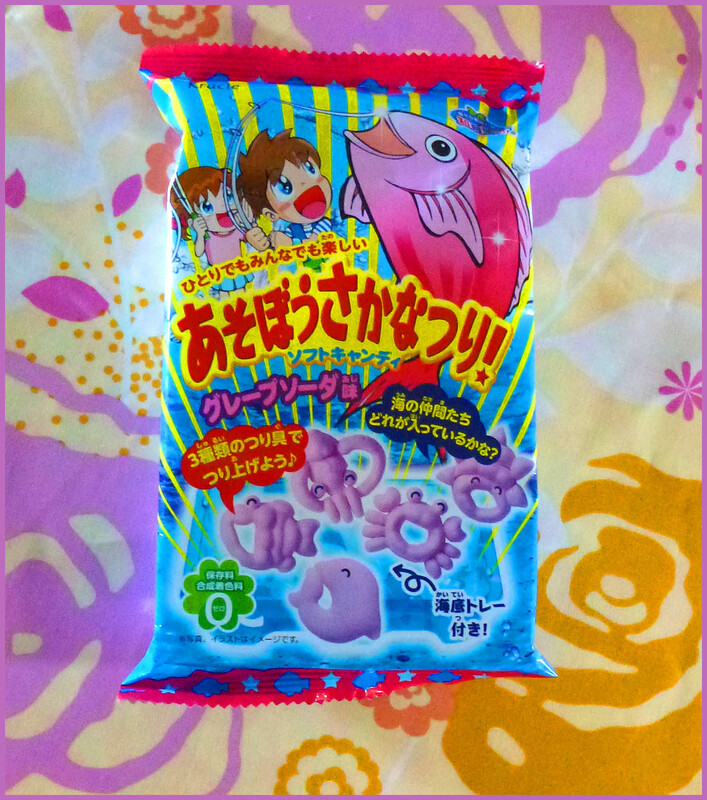 The candy is a gummy marshmallow and is shaped to resemble sea life. There are crabs, squid, seashells and fish. 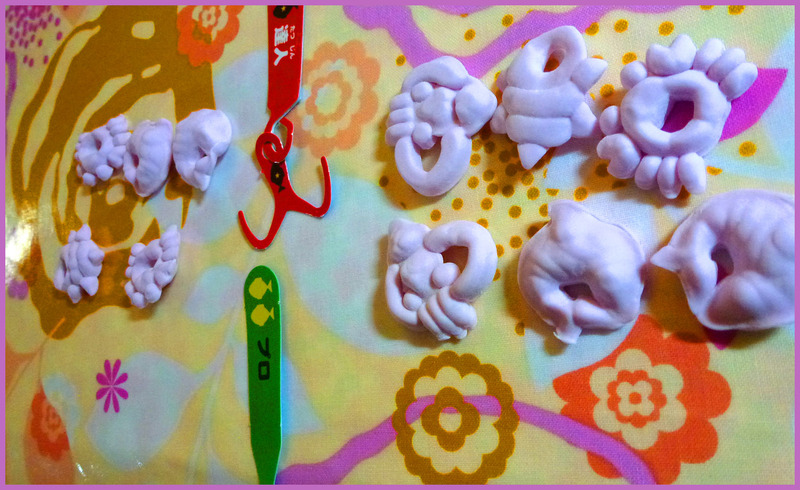 I get many questions about where to get other Popin’ Cookin’ kits, so here are more links below in case you are interested. If you would like to watch the video of Shane and I taste-testing and battling it out over the fish candy, you can watch the video below! That was a riot, way to win Tara – competently! Wondering if those Japanese instructions suggest adding water to the dish before fishing, it might even soften the candy and enliven the flavor. But then again, maybe it’ll cause the treats to dissolve away…which might be all right too!